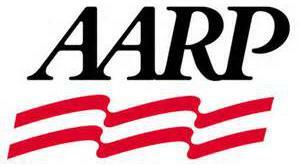 (1) AARP is a nonprofit, nonpartisan membership organization for people age 50 and over. Since Jonathan has just qualified to become a member and he thinks their membership is GREAT for all of us 50 years or older, He has decided to offer a SPECIAL DISCOUNT for all Active AARP Members. Just book any of our current tours at their regular price and show us your active membership card on the day of your tour . . .
he has decided to provide the following discount. Thanking You for your service to our country. in cash on the day of your tour.